At Moto-i in Minneapolis, we’re dedicated to making and serving the best sake in the Twin Cities. 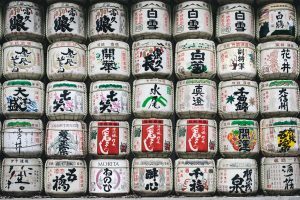 Our on-site brewery makes it easy to show people how our sake is made, and we’re always striving to create the most flavorful varieties. While you can order traditional drinks by the glass, we also have sake cocktails that offer something different in the way of flavors. Many of these, like our Cedar Lake Cider, you can only get at our restaurant, but in this post, we’ll look at some cocktails that you can make at home. We serve something similar to this at Moto-i, and it’s perhaps more of a warm-weather drink, but this Sake Cucumber Cooler can be a great choice when you’re mixing cocktails at home. Put the cucumber slices and sprigs of cilantro into the shaker and muddle well. Once you’ve done that, add the sake, yuzu, and ice cubes. Shake everything well to break down the cucumber, and then double strain into the rocks glass with ice. Take an extra slice of cucumber and add as a garnish! This fizzy cocktail is sure to appeal to many people who haven’t tried sake, as the flavors found in it tend to balance well. Fill your cocktail shaker with ice, then add the cherry juice, sake, and vanilla. Shake well for about 20 to 30 seconds until everything is chilled. Pour the ingredients into a small cocktail glass and then add the splash of club soda. You may need to stir it a bit to blend all the flavors together. While we’re always happy to see you, we know that there are some nights when you just want to stay in and have a drink in front of the fire, the TV, or both. 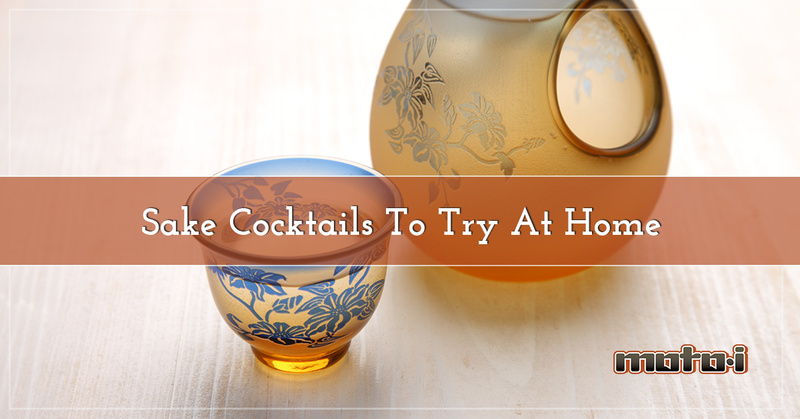 Some of the cocktails that we can be made at home, and ingredients shouldn’t be too hard to find. For the measurements, you may have to test them a few times to get it right, but with the blend of the sake, the fruitiness of the vodka, the lychee puree, and the Prosecco, along with the fragrance of the elderflower, you’ll soon make a tasty cocktail you’ll want to have again and again. If you’re interested in trying sake for the first time, or you want to taste a cocktail made by our experienced bartenders, come to Moto-i today. We’re open seven days a week until 2:00am, so no matter how late you’re out, we’d love to have you stop by!